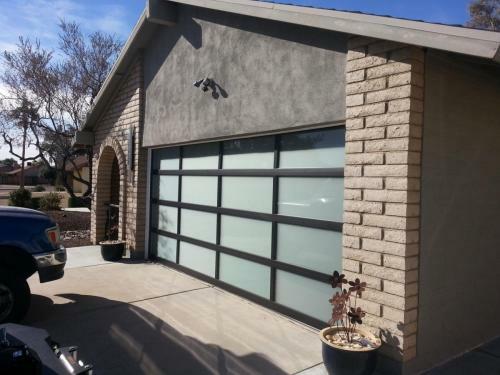 The uses for glass garage doors has gone beyond the garage. We have been known to install our modern looking glass doors in game rooms, living rooms, and even kitchens. Our doors allow you to add modern architectural design to any space. 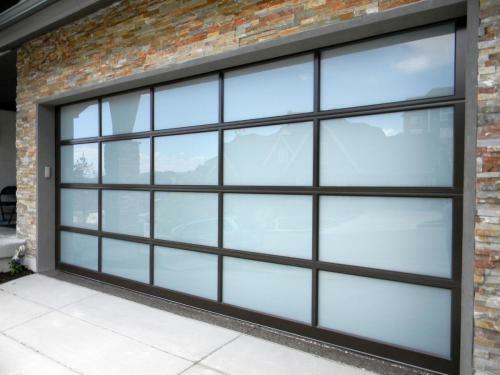 Our aluminum frame glass garage doors come with a large selection of frame colors and a variety of glass options. We only use the highest quality materials in the construction of our doors to ensure your beautiful glass garage doors will last for years to come. Call one of our design specialists today for more information on our products. • 2-1/8″ aluminum frame with structural reinforcement fin. Provides a low maintenance long lasting garage door. • Many glass, color, and panel options available for a customized look. • Multiple anodized and powder coat options available as well. • Insulated and Low-E glass options available for temperature control. 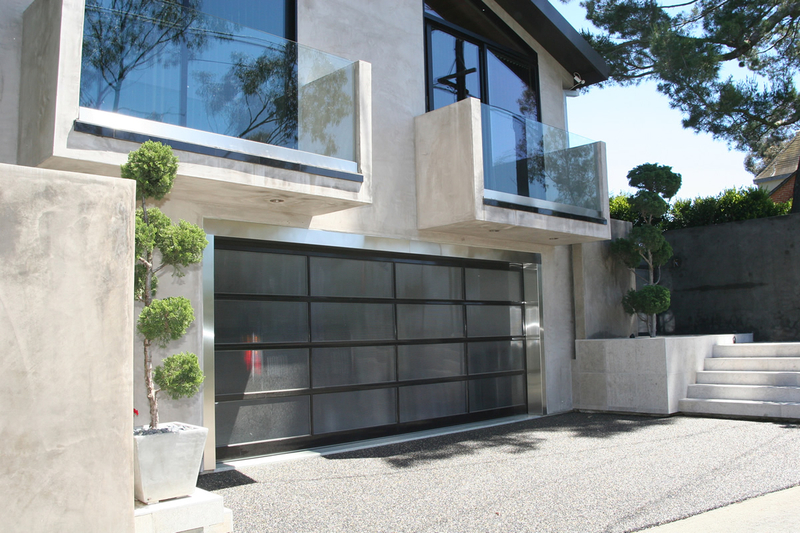 •​Beautiful garage doors for modern styling. •​Alternatives to outside access in modern custom homes.